If they are not allergic, give your child a glass of milk. Calcium present in the milk will form a chemical bond to the fluoride producing calcium fluoride salt which is excreted. Call a poison control center. The tooth-protecting attribute of fluoride was first noted in Colorado, parts of which have naturally occurring fluoride levels several times the recommended therapeutic (effective) level. Around 1901, many people in the Colorado Springs area were noted by Dr. Frederick S. McKay to have brownish stains and mottling of their teeth (“particularly the uppers”). The issue was studied at length for several decades by several leading dental researchers of the time, and many years later was traced to chronic overexposure to fluoride. This condition, known as fluorosis, was referred to at the time as “Colorado Brown Stain”, and caused quite a stir in dental academic circles of the era. During the studies, this same population of people were found to have very little tooth decay, and the relationship between fluoride and acid-resistant enamel was deduced. Since then, appropriate therapeutic levels of fluoridation have been established that offer the protections of fluoride without causing the mottling and stain of the teeth. Fluoridation of the drinking water began in the late 1940s, and according to the U.S. Centers for Disease Control (CDC), has been one of the most successful public health measures ever implemented in terms of dollars saved on treatment of tooth decay (a bacterial illness). Not everyone has access to publicly fluoridated water, however, and your dentist or pediatrician may recommend daily fluoride supplementation for your child while their teeth are developing. View the CDC’s most up-to-date daily fluoride supplementation schedule. Per current guidelines, “ideally” fluoridated drinking water contains from 0.7 to 1.4 parts per million (ppm) fluoride ion, depending upon how arid the climate and how much water people need to drink in order to keep their body hydrated. People in drier climates drink more water, and therefore need less fluoride in the water. Fluoride toothpastes typically contain about 1,500 ppm fluoride, while topically applied fluoride from the dentist has about 15,000 ppm. Prescription strength fluoride gels and toothpastes contain about 5,000 ppm fluoride. 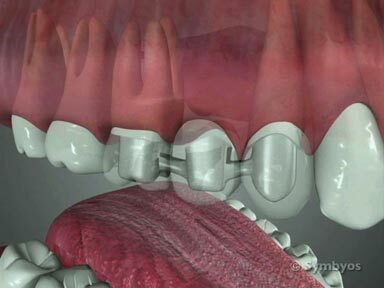 Permanent (adult) tooth development begins during fetal gestation, with the six-year molars and incisor tooth crowns nearly fully formed at birth (even though those teeth do not begin to move into the mouth for another five to seven years on average). 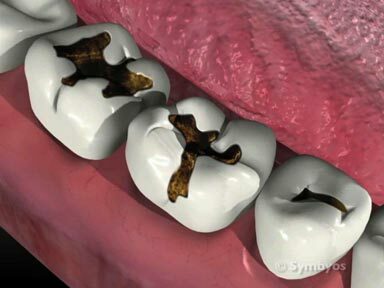 The development of tooth enamel continues until the adolescent years, when the third molar (“wisdom tooth”) crowns near developmental completion. In some patients, third molar formation is apparent on head radiographs (panoramic and cephalometric) as early as age 8 or 9. In some, however, they are not noted until the teen-age years. 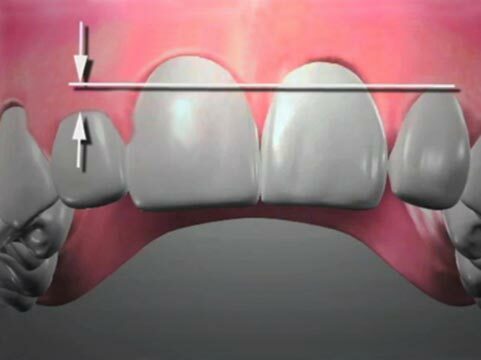 If the wisdom teeth are to be retained (not removed), they should benefit from fluoridation through the completion of development, at least into the middle teen-age years on average. In January 2011, the US Department of Health and Human Services (HHS) proposed that the recommended level of fluoride in drinking water be adjusted to the lowest end of the current range (0.7mg/L), in order to continue offering caries protection on a public health level, while reducing the likelihood of fluorosis.